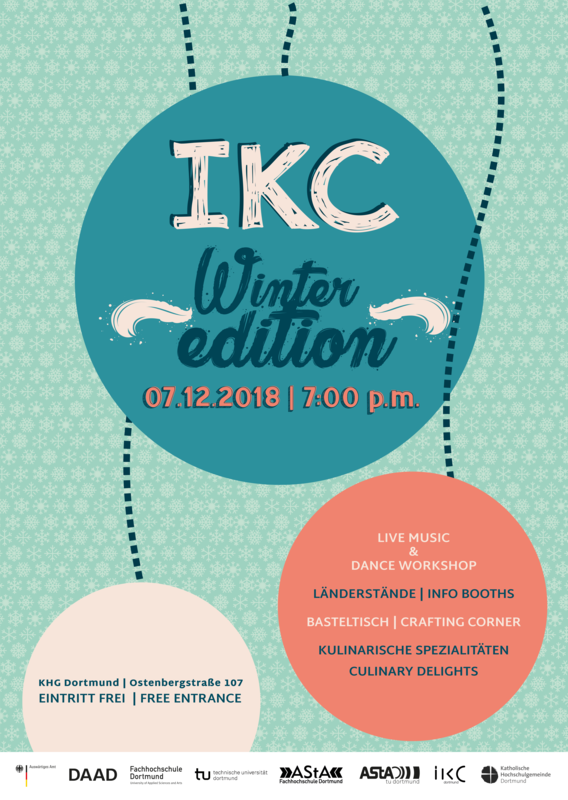 Celebrate the IKC Winter Edition with us on 7th December 2018! We are already looking forward to celebrate the beginning of the winter season and diversity with you! You will have the opportunity to experience diverse cultures. At different themed info booths, you can try culinary delights and get in touch with people from all over the world. A colorful program with music and dance, followed by a party, is waiting for you! The event will start at 7:00 p.m. at the KHG.